Caves du Roy is a famous club name since 1967. Is it still on top? 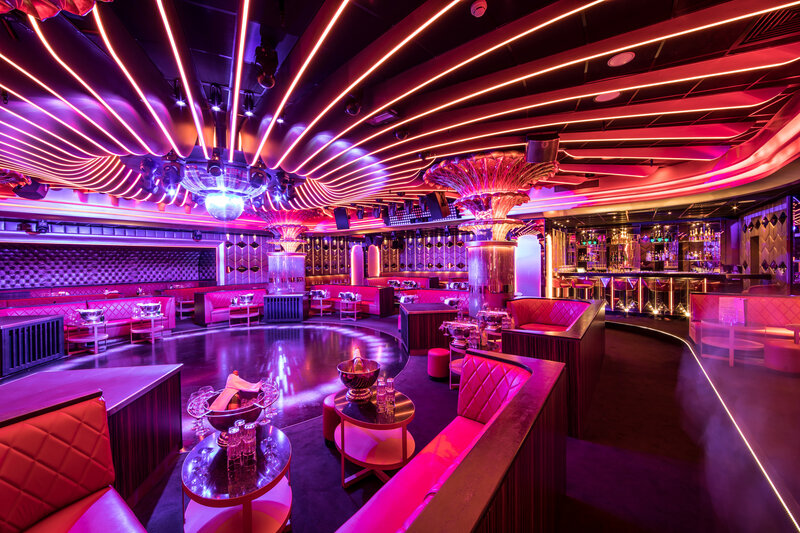 Yes, in our opinion Les Caves du Roy is one of the three best clubs in the world – and since its overhaul in 2017 it has got even better with a revised layout and spectacular new lighting. goose bumps when DJ Jack-E greets the party people with his legendary „Welcome back to Saint Tropez”. What makes the Caves so special? This is where parties of international reputation are celebrated and where the atmosphere on the right night is simply stunning: beautiful girls, international stars and the right mix of partygoers are all out to have a great time together. And then, there are the goose bumps when DJ Jack-E greets the „party people from all over the world” with his legendary „Welcome back to Saint Tropez”. Orders of Roederer Cristal Methusalem are celebrated with a fanfare, lighting effects and fireworks. What should I know before I go there? The club is part of Hotel Byblos and it is open from April on weekends and, even before the high season starts, the mood is good every Saturday night. During the high season, Les Caves is open every day. Getting in can be tough, though. In order to obtain a table reservation, book a table on one of the less-popular nights and then place a reservation for another night. The two bar areas are rather small, but there are lots of tables. The best tables are around the dance floor (where the minimum spend is very high indeed).